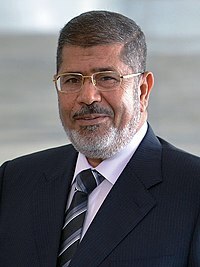 ↑ «Interview with Mohamed Morsi» (στα Arabic). Al Jazeera. January 29, 2012. Ανακτήθηκε στις August 12, 2012.